Derald Peters, BS, RPh, has been proudly elected into the Industry Board of the American Health Council. Currently working as a staff pharmacist for Diplomat Castia Rx Pharmacy in Omaha, Nebraska. Mr. Peters has amassed almost 50 years of service to the healthcare sector. Mr. Peters began his studies at St. John’s University, Collegeville MN, and transferred to South Dakota State University, where he obtained a BS degree in Pharmacy, graduating in 1970. He began working in the pharmacy industry after being influenced by his brother who was a pharmacy tech in the Air Force. Initially, Mr. Peters began on a pre-med path but decided to change this to pharmacy, where he believed he had found his true calling. Mr. Peters has been working as a staff pharmacist for Diplomat Castia Rx for the last 2 years, a role which he finds extremely rewarding. Diplomat Castia Rx is a well-renowned pharmaceutical organization who provides tailored medical packages for those who have specific needs. 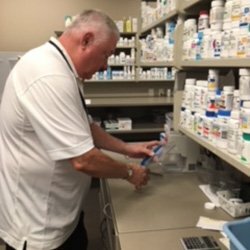 This dedicated organization not only cares extensively for their patients but also provides unique support systems to accompany this and to streamline the pharmaceutical industry. They specialize in the management of many different health conditions including Inflammatory Bowel Disease, Rheumatology and Fertility. Diplomat Castia Rx is widely recognized for their success with accreditation from the American Society of Health-System Pharmacists and the Center for Pharmacy Practice Accreditation among others. 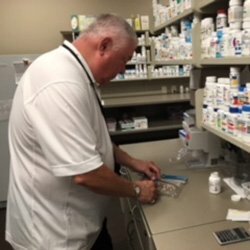 Mr. Peters possesses a vast range of pharmacy expertise, including retail, compounding and mail order to name a few. Within retail specifically, Mr. Peters has an extensive 41 years of experience, gaining him much respect from his peers. His dedication to looking after patients, supervising and directing colleagues is widespread and as a Certified Diabetes Educator, Mr. Peters enjoys teaching others about diabetes. In recognition of his outstanding contributions and dedication to his work, Mr. Peters has been the recipient of the Outstanding Pharmacist of the Year award for the Omaha NE District with Walgreens two years in a row. Mr. Peters credits his success to his unquestionable devotion to the field, his ability to empathize with his patients and the love and support from his family and credits his “hard work” ethics especially to his father. 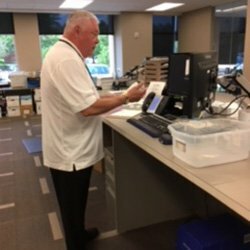 Outside of work, Mr. Peters is the President of the Retired Walgreens Alumni Association for the Omaha, Lincoln NE districts and is heavily involved with an array of charitable institutions. These include St. Leo’s Catholic Church Parish Council, funeral lunch committee member, CHI Patient Advisory Board Bergan Mercy Hospital, and Diabetic & Endocrinology Board Committee Bergan Mercy Hospital and volunteers as a patient visitor at CHI Bergan Mercy Hospital, Omaha Ne. This allows Mr. Peters to aid even more individuals and families and to make a real difference to those around him. Mr. Peters’ wife, Susan M. Peters, BS RPh, Creighton University is also a pharmacist, who he met whilst working for Walgreens. They are an extremely family orientated couple and Mr. Peters relishes all the time he gets to spend with family and friends. He and his wife often travel to visit their three sons, who live in different areas of the country. Looking to the future, Mr. Peters plans to carry on working in the pharmacy industry and to continue inspiring and educating others. Diplomat is the nation’s largest independent provider of specialty pharmacy services, bringing personalized medication therapies to people with specialized needs. Diplomat offers innovative tools to help patients, including starter kits for side-effect management and our proprietary CarePak™ for easy dose tracking. Diplomat systems and skillsets complement patient care—complete benefits investigations, dedicated efforts for prior authorizations and PA appeals, start-to-finish third-party funding assistance and Medicare support.